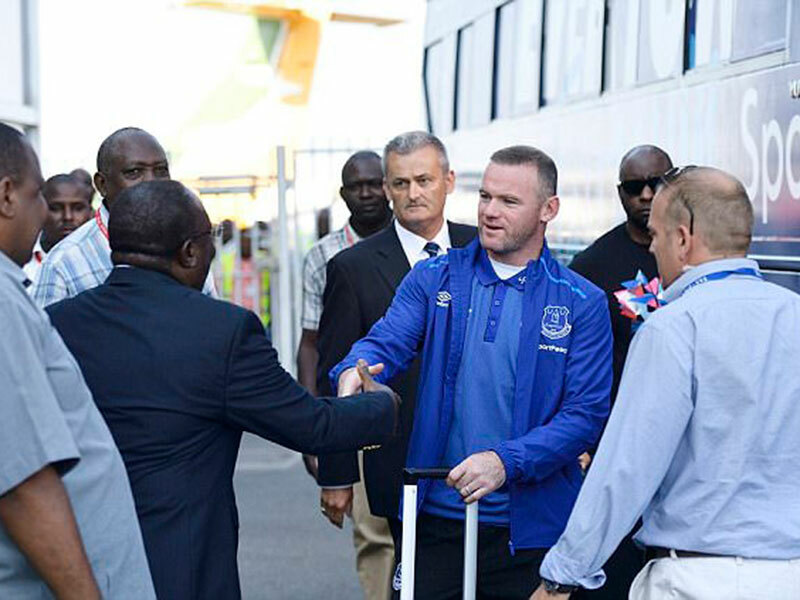 FOOTBALL–Everton have touched down in Tanzania ahead of their first pre-season friendly with Wayne Rooney and Co welcomed by hoards of supporters as they arrived in Dar Es Salaam. Rooney was greeted by locals after leaving the team bus, with the former Manchester United striker set to make his first appearance in a Toffees shirt since May 2004 against Gor Mahia on Thursday. 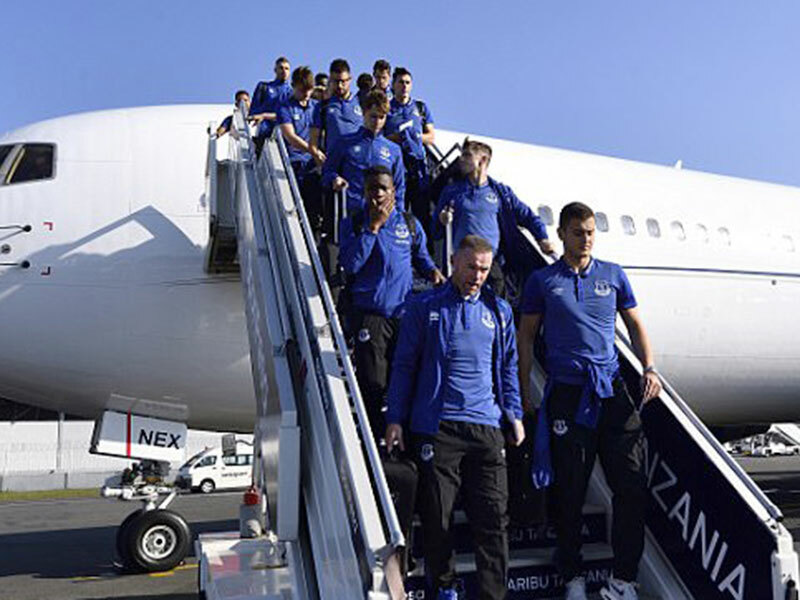 The 31-year-old England captain will look to build up his fitness with a solid outing against the little-known Kenyan club, and Ronald Koeman’s new-look squad were treated to a warm welcome as they embarked on the team hotel. 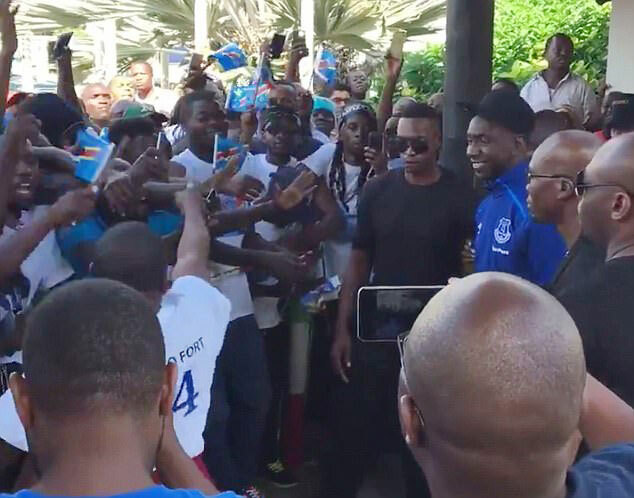 But the real show belonged to Yannick Bolasie, a DR Congo international, who received a hero’s welcome at the Dar es Salaam airport with Congolese football fans cheering his name and waving special flags designed in his honour. 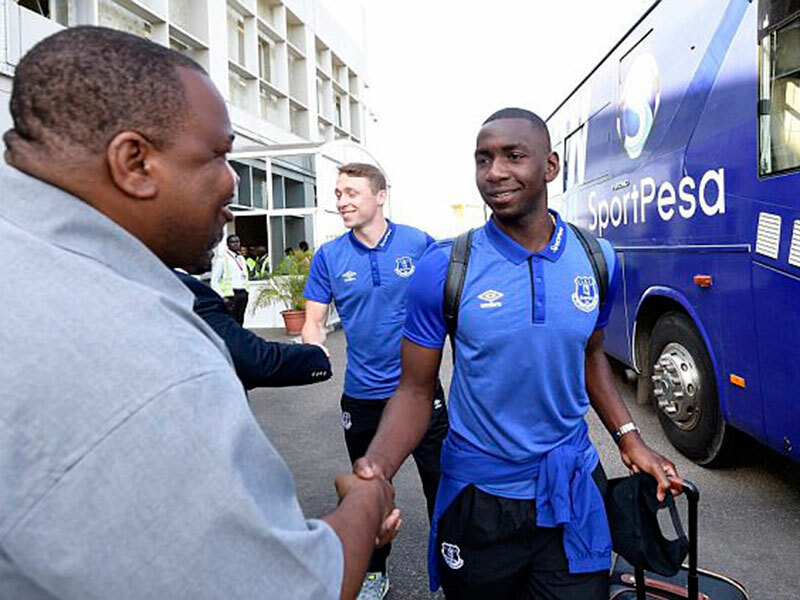 Yannick Bolasie, who is expected to remain sidelined with a serious knee injury until the end of the year, has travelled with the squad for the friendly – which is designed to which celebrate the club’s new main partnership with African gaming giant SportPesa. Bolasie was overwhelmed by his reception as dozens of supporters who both live and have travelled across the divide showed their appreciation for the pacey winger. The former Crystal Palace player has travelled as part of a team-building exercise, and he joined in with the feel-good factor surrounding the trip as he danced with jubilant fans upon arrival. 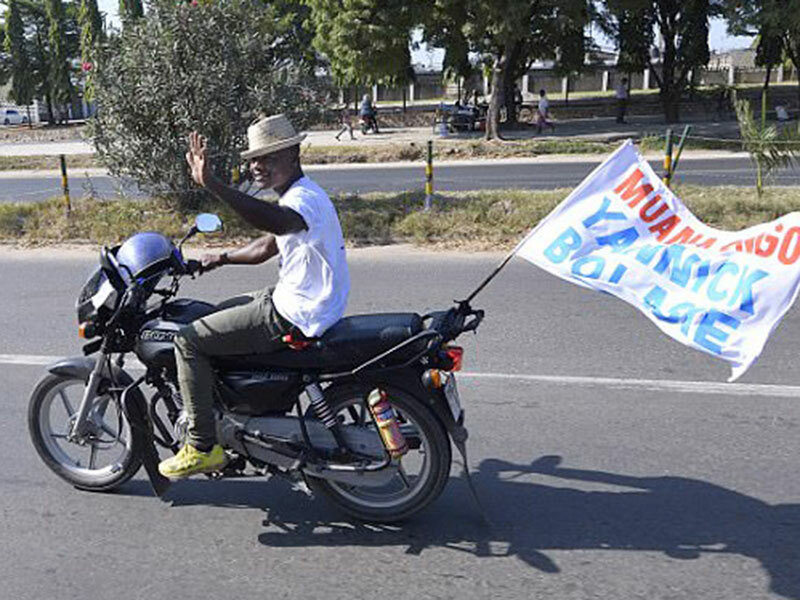 Congolese fans out to show Bolassie where their heart belongs. 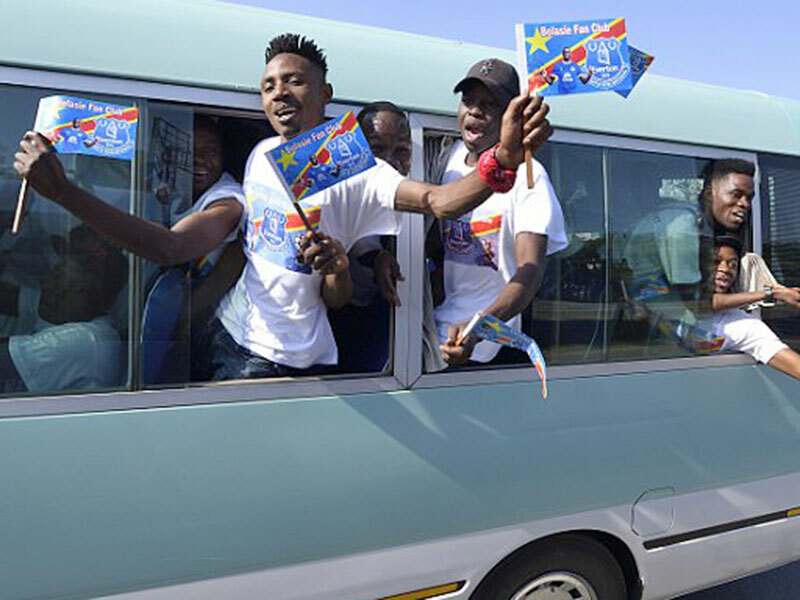 News of Bolasie’s presence has led to many Congolese supporters descending on Tanzania’s east coast via all modes of transport, with flags bearing the 28-year-old’s name visible amid a sea of colour in Dar Es Salaam. 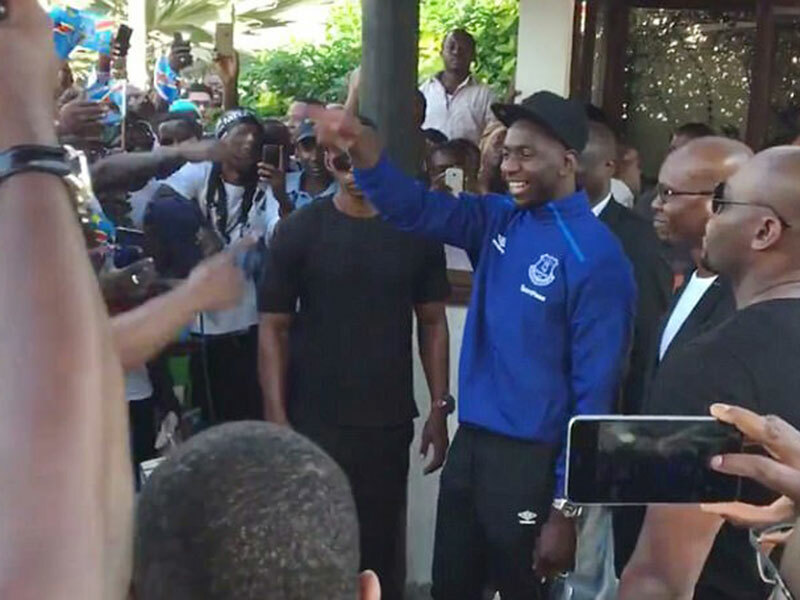 The febrile atmosphere has swept across the country since Everton’s flight from Liverpool John Moore’s airport, with the Merseysiders welcomed by a Maasai tribe. The Toffees are set to fulfil an array of commitments off the pitch including several cultural experiences, and full-back Leighton Baines is looking forward to seeing what the next few days have in store. “We received a very warm welcome,” he told the club’s website. “It is very interesting for us as the Maasai welcome is not something we see at home. We’ve just come straight off the plane and we are all excited to be here. 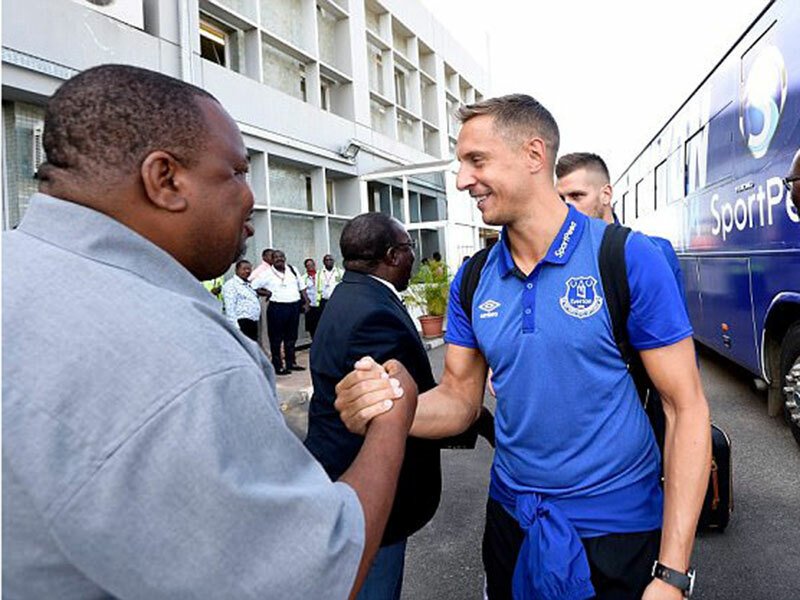 Club captain Phil Jagielka wasted little time getting familiar with Tanzanian cuisine as he and Dominic Calvert-Lewin took part in a cooking challenge, while Muhamed Besic, Tom Davies and Michael Keane spent the afternoon with a local albino football team. Opponents Gor Mahia earned the right to face the Blues at the 60,000-capacity Tanzania National Main Stadium after winning the inaugural SportPesa Super Cup. Ross Barkley is not part of the 25-man squad to have travelled with the club announcing that the 23-year-old will be treated at home having suffered a groin injury.